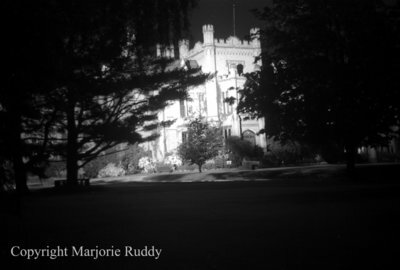 Black and white negative showing Ontario Ladies' College at night lit by floodlights. View was taken through the trees. Ontario Ladies' College, 1938, Marjorie Ruddy. Whitby Archives A2013_040_945C.